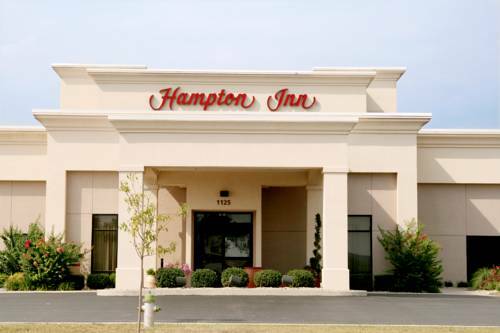 The Hampton Inn Lebanon hotel is located at Crossroads Industrial Park just minutes from downtown Lebanon Kentucky. We feature 58 guest rooms indoor pool fitness center and guest laundry. Amenities include our On the House hot breakfast bar in-room coffeemaker wireless high-speed internet access iron and ironing board hair dryer 25-inch TV with in-room movies and Nintendo rentals and clock radio. Meeting/banquet rooms are available. Rollaway refrigerators and microwaves are available upon request for a nominal fee. We love having you here at the Hampton Inn Lebanon hotel in Kentucky. ALL RESERVATIONS MUST BE GUARANTEED WITH A MAJOR CREDIT CARD OR ADVANCE CASH DEPOSIT TO HOTEL REGARDLESS OF TIME OF ARRIVAL. ALL RESERVATIONS MUST BE CANCELLED 24 HRS PRIOR TO ARRIVAL HOST TIME UNLESS DEPOSIT REQUIRED. "Sleep in a Wigwam" at a classic tee-pee-themed motel near Mammoth Cave, built in 1937. The burial site of Floyd Collins, "Greatest Cave Explorer Ever Known," is near the cave that killed him. Louisville, Kentucky: Birthplace of "Happy Birthday to You"
A plaque on a small concrete pedestal remembers that Louisville was the home of the writers of the song "Happy Birthday to You." An animatronic replica of the town's loud-mouthed bird, dead nearly 200 years, entertains visitors to the county museum.